This one is huge! Inflammation is at the root of most all pain and disease. Of course, some inflammation in the body is natural because it comes with the stresses of everyday living. But natural, whole foods and herbs have healing properties that help to minimize and manage inflammation, preventing pain and disease as well as helping you reach your weight loss goals naturally. 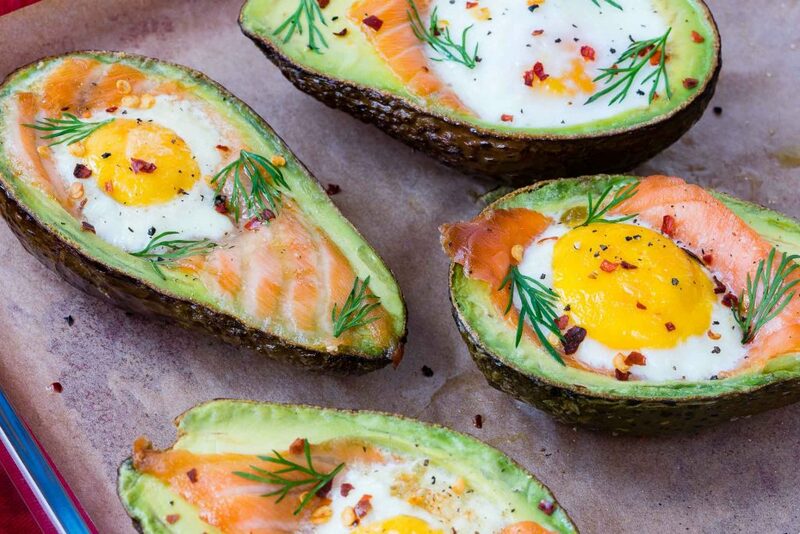 Here’s 8 ways to lower inflammation and lose weight. 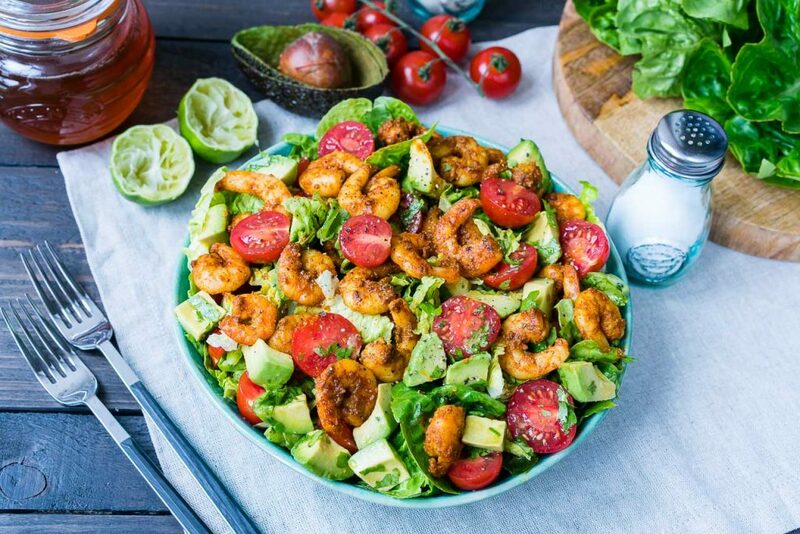 One of the joys of eating foods that are close as possible to being in the form that nature gave them to us, is that your body tends to thrive and stay slim almost effortlessly! Sometimes there are hormonal issues involved with not being being able to lose weight, but getting in tune with your body and sticking with a healthy lifestyle long enough will eventually let you heal. This is a big bonus! When eating clean you are getting more vitamins, minerals, and hydration that starts to show up in your skin! It also makes for better skin and nails. Studies have shown that when people look at pictures of other people who eat a lot of fruits and vegetables versus those who don’t, they usually find the fruit and veggie eaters more attractive! Why? It’s that healthy glow from all those carotenoids! There’s a strong correlation between food and mood, and several books have been written about this now. It seems we have long discounted the link between food and things like depression and anxiety. Keep your blood glucose levels stable, and live long and happy with Clean Eating. The famous Hippocrates said “let food be thy medicine and medicine be thy food.” While eating nutrient dense foods from nature, your entire system is going to both look and feel so much healthier. 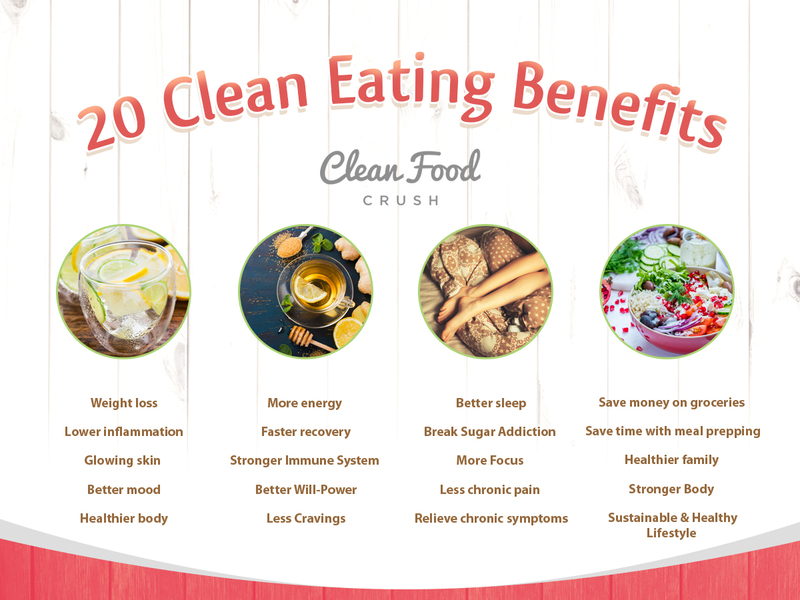 Clean eating equals clean energy! No more need for energy drinks, sugar or tons of coffee to get you through your days. With a healthy, clean eating lifestyle you will usually have so much energy that you won’t know what to do with it all. 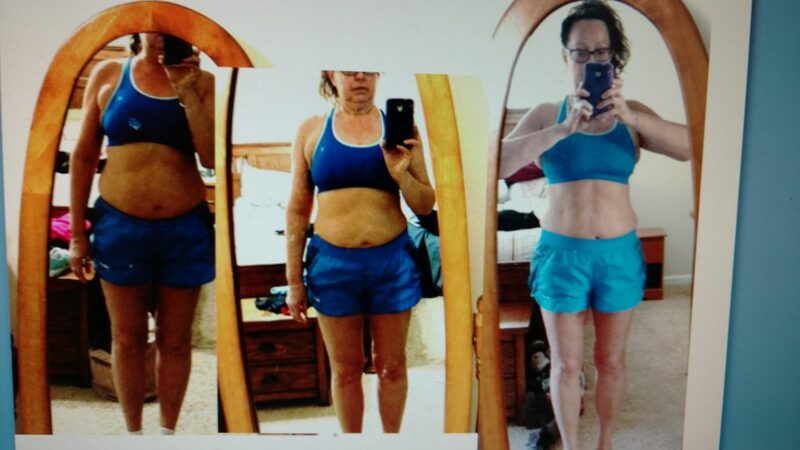 Karla saw major improvements in energy by eating clean and shared her journey with us. Speaking of energy, you will find on a healthy diet that your workouts are better and that your recovery time is cut down too. This is in part because of the minimized inflammation in your body, but also because of all the great antioxidants you are getting from your food. Anytime you’re consuming processed foods and sugar, the immune system has to spend energy protecting against what you’re putting in your body, leaving very little energy left to protect against illness. A Clean Eating lifestyle leads to a bolstered immune system that can better fight of viruses and disease. And when you do get sick, your body will have more resources to recover quickly. As just mentioned, your body is naturally cleansing and detoxing when you are eating clean, so a lot of the old stuff in your colon and tissues gets flushed out and is no longer controlling your biology and cravings. In a sense, you’re totally reprogramming your relationship with food in a positive way. Learn to decode your cravings with this Clean Eating cheat sheet. For many of the same reasons listed above, eating clean helps break sugar addiction. Another reason is candida! If you are eating processed foods, your body becomes an environment for excess amounts of this yeast like, parasitic fungus to thrive. Yuck! Candida lives off of sugar so it makes you crave more. 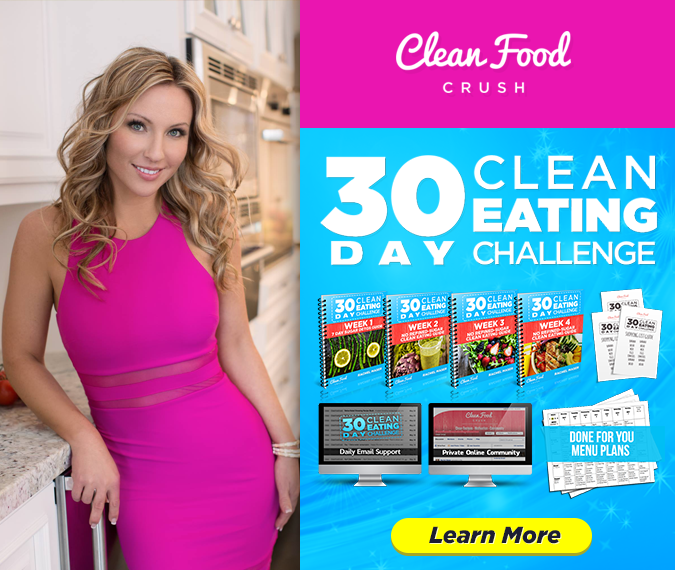 Clean eating is free of processed sugars, so bye bye candida and sugar cravings. 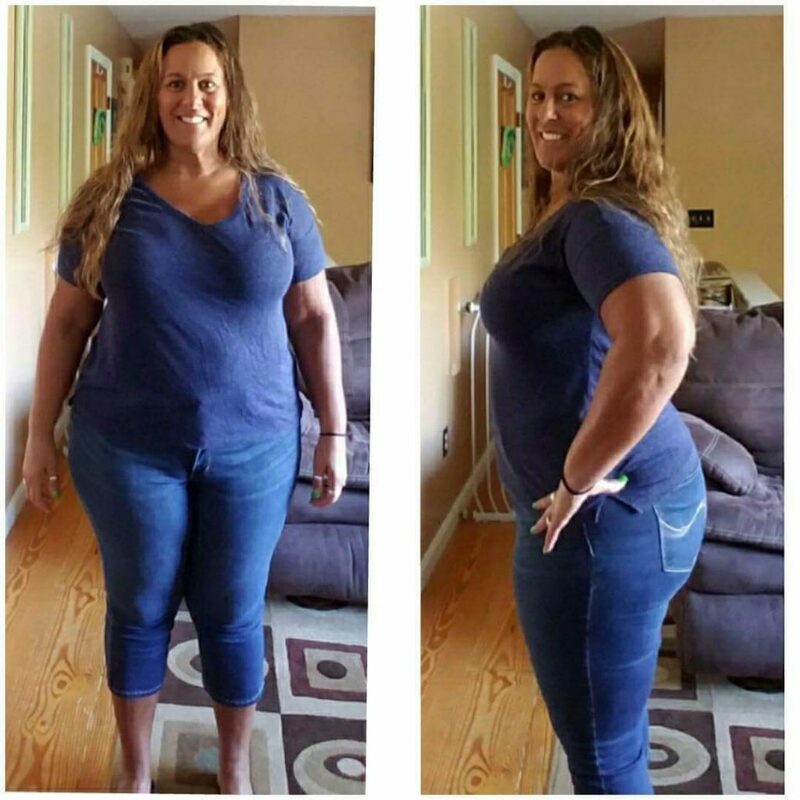 If you need some inspiration, learn how the woman pictured above named Karen beat her sugar cravings and lost weight with Clean Eating. Another thing that processed foods contribute to is brain fog and focus issues. When you eat clean, you are also feeding your brain and you’re going to feel sharper and smarter. As we talked about at the beginning, inflammation is a huge deal when it comes to any kind of pain or disease. Eating foods that reduce inflammation, and avoiding the ones that cause it, will lead to pain-free living! Eating clean gets your body in balance and also helps with hormones, which in turns helps with things like sleep quality. And your body is spending less time having to repair and heal damage while you sleep, so you’ll wake feeling so refreshed. 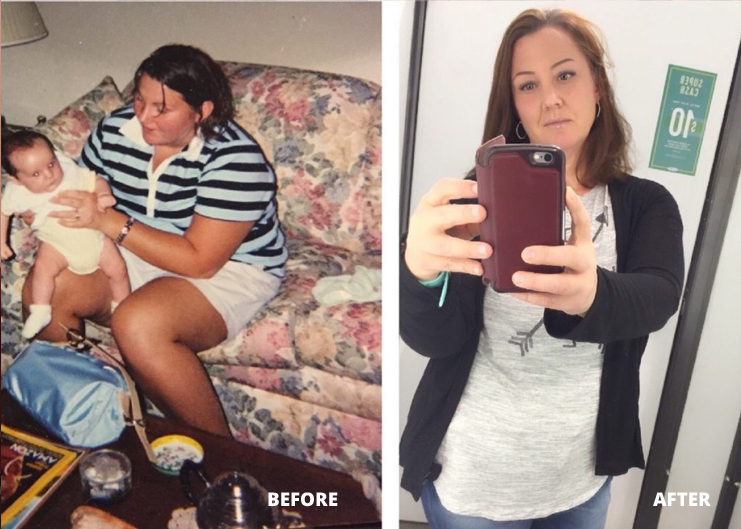 Jacklynn had sleep issues before she began the 30 Day Clean Eating Challenge and reversed them through changing her diet. We don’t often realize how much what we put in our body impacts our external reality and health. We’ve established that food is medicine in most cases. What we put in our body can either make us sick, or help us heal. Especially when it comes to inflammation, weight, hormonal imbalances and chronic pain – looking at our diet is the first wise step to recovery. By Clean Eating, we’re going straight to the root of the issue rather than masking it. This one may sound counter-intuitive, since most of us think healthier foods are more expensive, but eating more simply and mindfully can actually lead to saving money. There are brilliant ways to save money while eating healthier. Here’s a starting point for you on how to simplify grocery shopping and live better! Meal prepping is a great way to save both money and time with a clean eating lifestyle. It also cuts down on stress and waste. 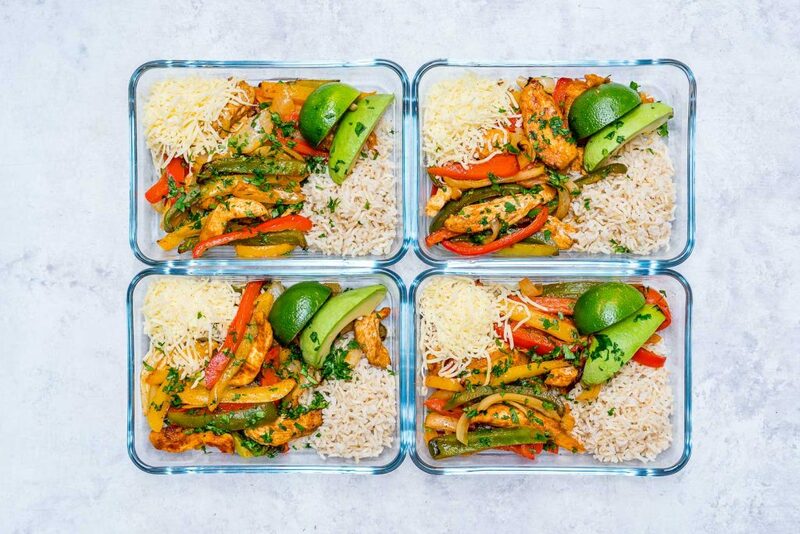 Try these new oven-baked chicken fajita bowls for your next meal-prep day. You might be surprised how bonding Clean Eating can be for families! 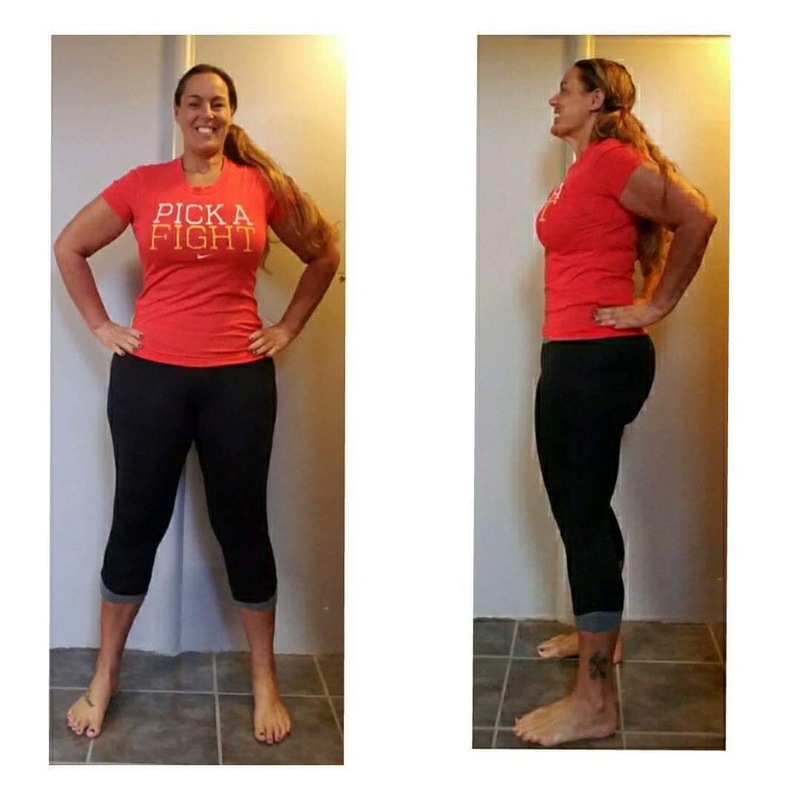 Billie and her son lost 59 pounds together and now they still go to the gym in the mornings 🙂 Billie works in our private groups for the 30 Day Clean Eating Challenge now too! Clean eating is surprisingly sustainable because it is so delicious, satisfying, and makes you feel amazing. 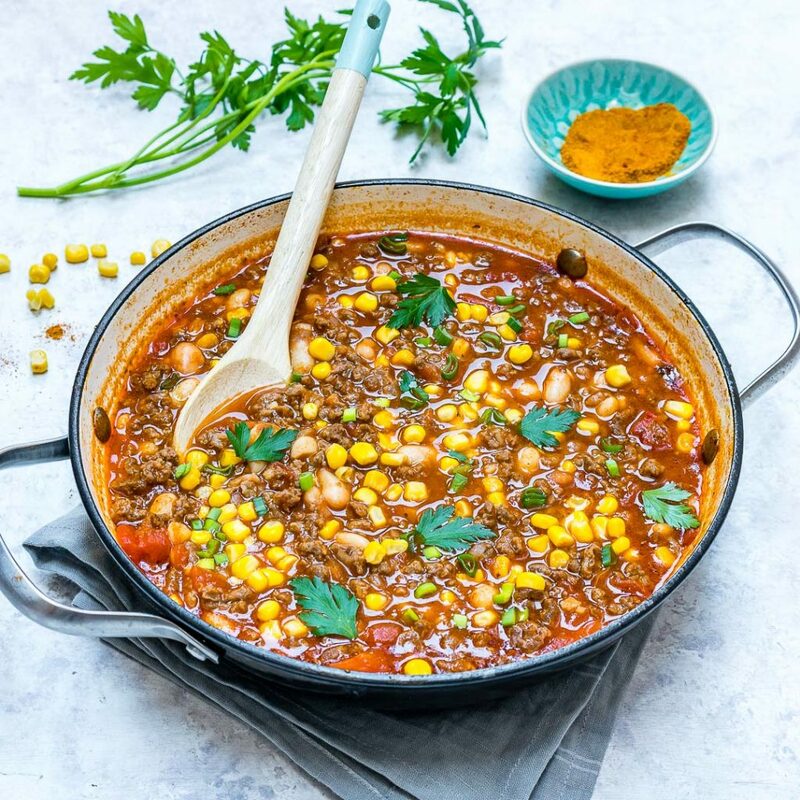 Unlike diets that ask you to practice torturous caloric restriction or avoid foods rich in flavour, Clean Eating is about rewiring your taste buds for life. This means, slow and steadily, you learn how to LOVE Clean Foods. As previously mentioned, there are also ways to do it that saves time, money and stress. But just like anything good thing in life, it takes commitment and practice that pays off in vibrant health and happiness!